My name is Andrew Vaughan, I am 26 years old and this is my story so far. I have just finished my fourteenth week of Phase 1 training at ATR Winchester where I hope to go on to join the Royal Artillery. 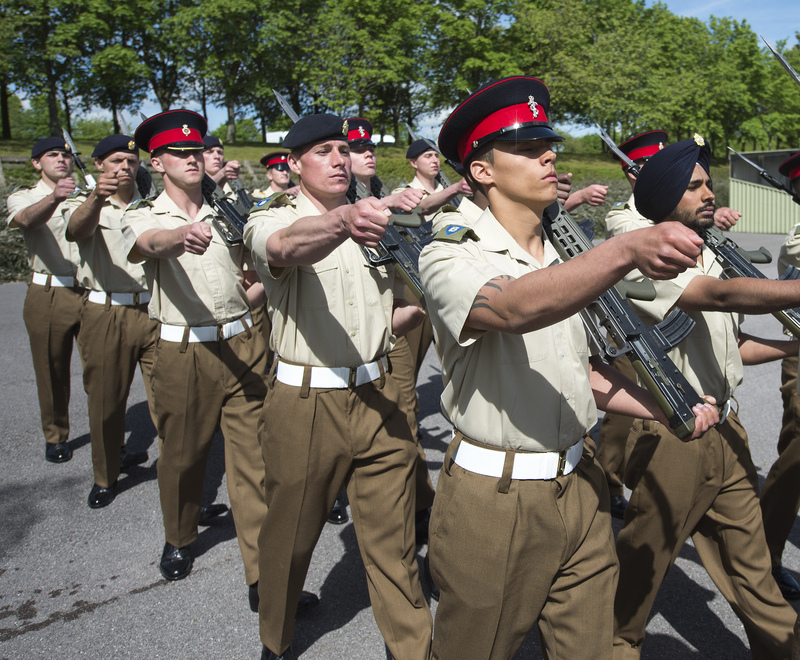 Today marked the start of practising the parade itself with the other troops on the square. We did this in our barrack dress which combined with the extreme heat is killer! We’ve also started paying extra attention to bulling our shoes, as shoe inspections will be coming up to make sure ours are up to standard for our big day. The basic format of the parade was covered today and the RSM made sure everyone knew what was happening. In the evening, we showed our skit video to our Troop Staff whilst we ordered dominos in. We spent a lot of time on the skit and it was received very well by all (it was hilarious!). Today was a sad day in one respect. It was our Troop Commanders last day and another would stand in for him for our parade. He bid us farewell and wished us luck for the future. I hope I’ll see him again somewhere down the line. The prize winners were announced today and their part of the parade to collect their awards was practised and refined. The whole parade is beginning to take shape, the finish line is in sight. Flaws and mistakes were tweaked today up to the point that the RSM noticed a huge improvement. We’re so close to passing out now, there’s a huge buzz of excitement in the air! Today was a big day for me for two reasons. One being that it was my last full day and night here at Winchester. The second, it’s my birthday! Today we handed back in our issued kit, cleaned our rifles, had a shoe inspection (which after a week of solid bulling went well), had a No 2 inspection (which after a week of ironing and threading also went well) and finally did more parade practice on the square. We’re now at a decent level according to the RSM which has boosted our confidence and none of us can wait for tomorrow! I spent the rest of my birthday enjoying my last night in Winchester – by taking part in a section attack on the rest of the troop with head torches and water pistols. A brilliant end to my 26th! So the day had finally come. 14 weeks of mud, sweat and tears. The amount I’ve learnt and the amount I’ve grown since I’ve been here is astonishing and it has all led to today. We got into our barrack dress so not to ruin our No 2s and made our way to the square to do a final run through with the band. The band playing in the background got the adrenaline flowing and the goose bumps going, the drum kept us in perfect step. With our final practise over with we got back to the block and got changed into our No 2s whilst our friends and families began to arrive. We checked each other over and when convinced we all looked the part, marched over to the square and got ready. The speaker announced us on and our pass out parade began. The band playing coupled with the sound of our loved ones cheering us on was an unbelievably overwhelming feeling and one I won’t forget. We performed our pass out perfectly and when all was over we were marched back off the square as soldiers! We got changed into our civilian suits, said goodbye and thank you to our staff, met up with our families and bid farewell to ATR Winchester. Thankfully all of 2 Troop have come to Phase 2 together but I’d like to give a huge thank you to my training team. It’s been emotional! My name is Andrew Vaughan, I am 25 years old and this is my story so far. 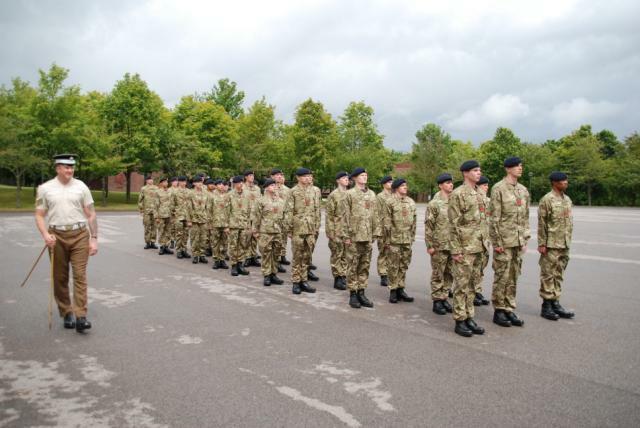 I have just finished my thirteenth week of Phase 1 training at ATR Winchester where I hope to go on to join the Royal Artillery. Today we began learning arms drill in preparation of our impending pass out parade. Straight away we realised that arms drill is a lot harder than we first thought, with bruises quickly emerging on our hands and shoulders! 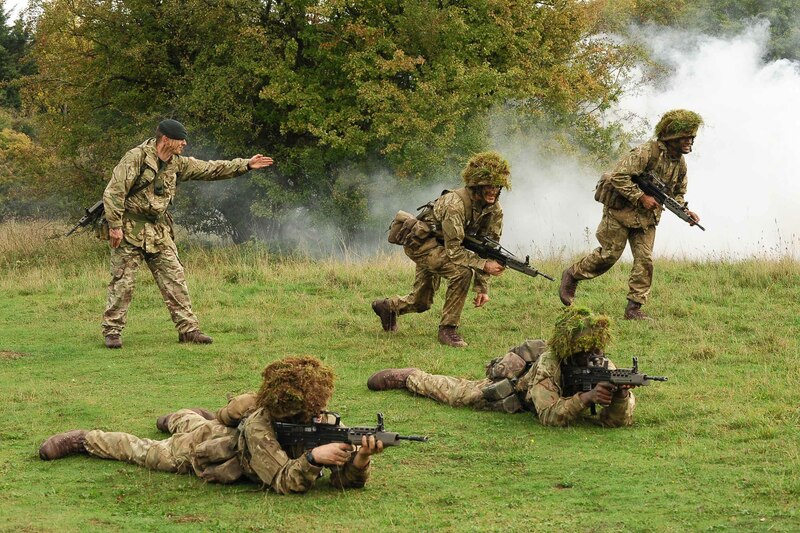 We spent most of the day covering basics such as standing at ease, attention and sloping/changing arms. Afterwards we went to the storeroom for our final No 2 Dress fitting. 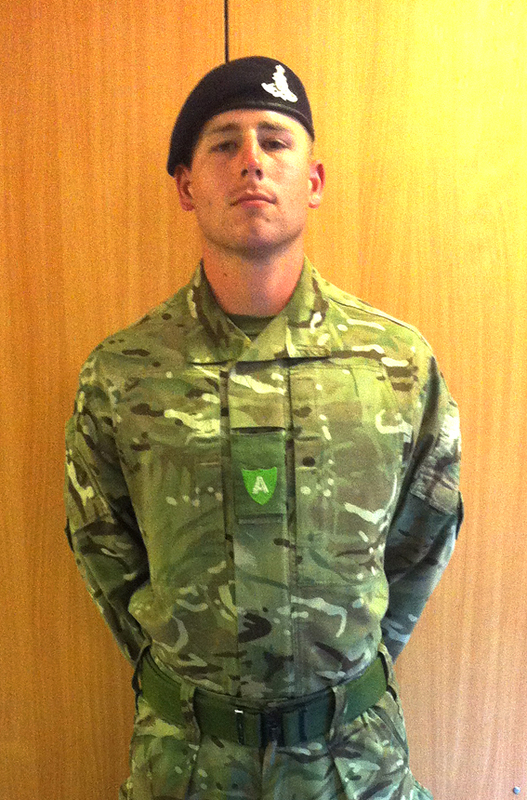 Once satisfied our No 2 Dress fitted, we brought them back to the block to begin to prep them for next weeks parade. We finished the day preparing for our presentations that we would deliver regarding the Royal Artillery – our chosen cap badge. We began the day with functional skills, which covered all we had learnt over the 13 weeks. Afterwards we got changed and headed to PT which was a swimming test. 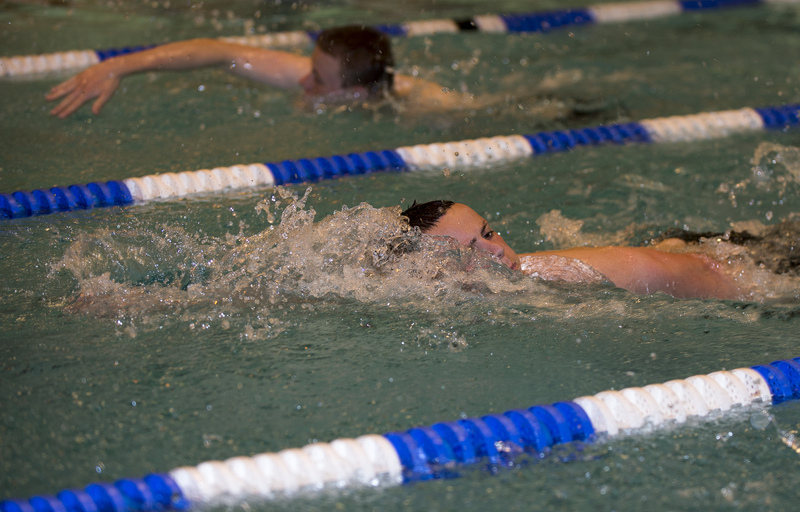 The test was the same as our initial – treading water for two minutes followed by six lengths, only this time it was after quite a hard warm up and wearing military kit that weighed us down. After all our training we all managed to pass without any dramas. I even jumped off the top board without hesitation – a small feat which I couldn’t complete at the start of the process and a testament to my development here. After PT we spent the rest of the day learning more arms drill, which is confusing a fair few of us at the moment! In the morning we had the COs inspection and after many hours of hard graft we managed to get the block gleaming. The inspection went well and we breathed a sigh of relief. We’d packed our bergens the night before and took them to PT ready for our six mile TAB. We had to pass this to pass out and I was very nervous. Although hard work we all pulled together as a troop and apart from one, we all managed to pass. The recruit who didn’t retook the test and passed second time around as well. We finished the day with more arms drill, learning the final movements before going over all of them until perfected. A couple of financial briefs today, followed by swimming PT and then arms drill practise with the other troops so that we can all get the movements in time for pass out. As it stands, we need more work! Today we delivered our presentations on the Royal Artillery including when we formed, early battles we’ve been involved in and our influence in modern warfare today. Our presentation was well received and our hard work paid off. We had strength and conditioning for PT which was brutal! Circuits in the sun which is always a winning combo! More arms drill in the evening to brush up our skills including changing arms on the march. This weekend was spent in camp, brushing up on admin and enjoying the last weekend I’ll have here. Our troop spent our time in the NAAFI reflecting on our time here and pondering what was next for us. My name is Andrew Vaughan, I am 25 years old and this is my story so far. I have just finished my twelfth week of Phase 1 training at ATR Winchester where I hope to go on to join the Royal Artillery. After a morning kit check we donned our bergens, boarded the coach and set off for Salisbury Plain for Ex FINAL FLING! Once there, we made a quick stop to cam up and then tabbed to the harbour area. We were briefed on where we were to set up sentries as this was to be a linear harbour area as opposed to the triangular one we are used to adopting. Then the fun part – digging our shell scrapes. We spent the next few hours digging a hole suitable enough for 2-3 recruits to comfortably fit into, which was harder than we expected due to the vast amount of tree roots present in the area. Eventually though, our shell scrapes were deep enough and work routine came into effect. Before we could test out our new pits however, we were given a briefing on potential enemy in the area which is suspected of posing a CBRN threat. We got into the appropriate dress state and began our patrol. From a distance, we saw the enemy vehicle being intercepted by 1 Section; however as they tried to detain the enemy a gas attack was unleashed and less than nine seconds later our respirators were donned and purged. The enemy got away, and we patrolled back to our harbour area. 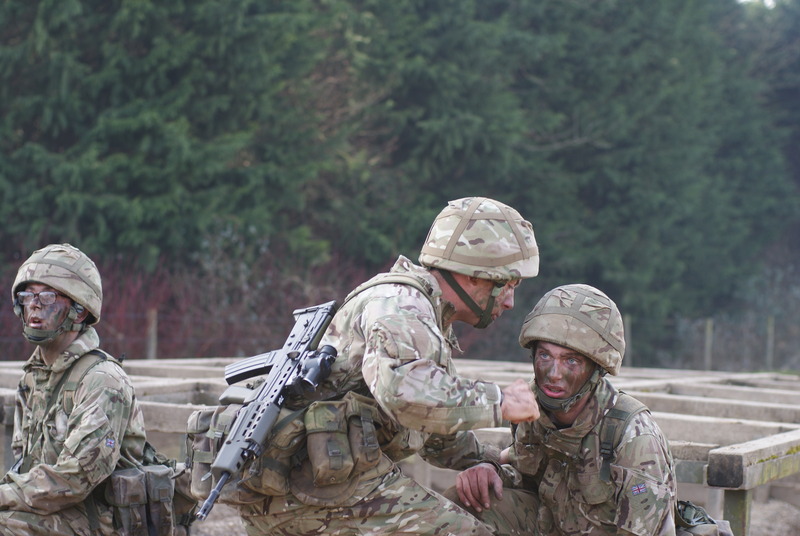 We were later given a report that the CBRN threat had been neutralised and that we wouldn’t need to worry about it for the rest of the Exercise. Phew! Morning routine and then we were given our first set of orders. We patrolled to a site where we were to later ambush the enemy’s supply route that evening. We planned how we’d go about it and then made our way back. On the way back however we were contacted by the enemy; we won the fire fight but had a casualty. After conducting our MIST report we CASEVACed our casualty back to the harbour area. We spent our free time conducting personal admin and grabbing any sleep that we could. Once it got darker, we were given our orders and made our way back to the site previous and got into position. The ambush was set and ready. When the enemy supply vehicle came past they set off the trip flares we had set and we neutralised them in one swift blow. A quick check of the bodies and vehicle and we tabbed back to the harbour area for a debrief. Morning orders to start with in which we were informed that enemy morale has dropped since our successful attack on the enemy supply vehicle yesterday which has resulted in the enemy not getting resupplied. Up next is a trip to the site where the main enemy HQ is supposed to be based. Instead of tabbing there however, we were to be taken by a Merlin helicopter! We stood to, kept silent and got ready for a fire fight. We waited for a while and then the helicopter made its approach. As it got close the ground, the force from the blades covered us in the surrounding grass and you can’t help but be impressed by its power. We made our way onto the Merlin and strapped ourselves in, myself being right next to the open side door. We took off and quickly picked up a huge amount of speed – I never realised how fast helicopters can go and also how much they can tilt! Absolutely loved it and had a huge grin on my face the entire journey. Eventually we were dropped off not far from the enemy HQ. We kept low and looked for areas where we could spy on the enemy for tonight’s recce where we were to try and gain intelligence on the enemy. We found the perfect spot on a hill overlooking the HQ and then snuck away from the area. We had some lunch once we were far away enough from the enemy, regrouped with 3 Section and then went back to camp via a Chinook! Back at the harbour area, instantly after I finished stag we were contacted by the enemy. We stood to, kept silent and got ready for a fire fight. We heard the enemy sneaking around the bushes directly by my basha and I braced myself. 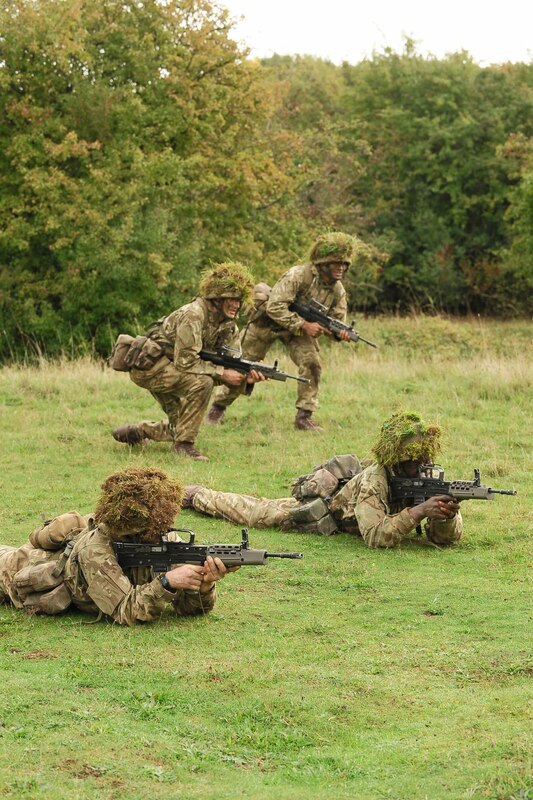 Eventually however the enemy backed off and we were stood down – just in time for me to go back on stag! After scoff, we reapplied cam and used the cover of darkness to make our way to the enemy HQ. We took it in turns as pairs to make our way to the spot on the hill to use the CWS to spy on the enemy and note down their movements, appearance etc. An enemy vehicle was also roaming the area and a couple of times it’s light scanned the area we were in. Luckily we were completely camouflaged and didn’t move a muscle. Once we all had a good amount of information, we made our way back to camp without alerting the enemy. Success! Our orders today were to patrol an area where enemy vehicles have been spotted and to set up a VCP where we would hope to stop and detain the enemy. After a while of waiting, two individuals made their way down the road and we quickly went about trying to stop and question them. I convinced the one I was dealing with to let me search him and eventually after questioning him, he made a break for it and outran me. Embarrassing! Things didn’t go much better for the other guys either and the scenario was reset. It took a few attempts until eventually we were able to successfully detain suspects on foot and in vehicles. Before we could head back to the harbour area, we saw that 3 Section had been contacted and we provided covering fire whilst they could make their way to us by which point we withdrew together. Once back we filled in our shell scrapes and covered up our presence there. We used the remaining time we had to get dinner and sleep on before our briefing from the Troop Commander on our all-out attack on the enemy tomorrow morning. We woke up at 0000 hrs and our Troop Commander began to give us the plan of attack on the enemy HQ. The HQ consisted of three barns and our section were to attack the first barn and then provide fire support for the section attacking the next barn. During the briefing the wind picked up quite a bit but we ignored it. The briefing finished and we began to get ourselves ready. A bit of rain broke out but we ignored it. We checked each other over and got ourselves into patrol formation ready to move. Then an all-out thunderstorm hit us. We have had thunderstorms hit us on the last night of two exercises! Whilst some of the troop enjoyed the fact that we were now drenched for the final attack, I was not happy! Despite the sudden weather change, we departed as a Troop to the enemy HQ. The way there was hard work with the weight on our backs but eventually we made it and set our bergens down. 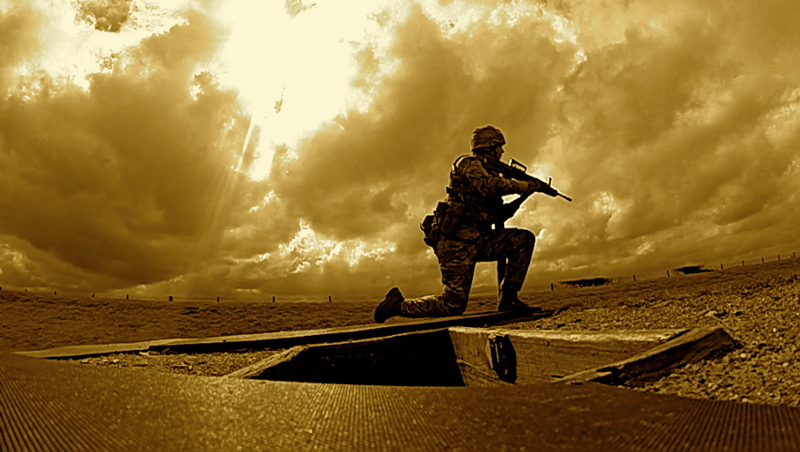 We quietly made our way into our relevant positions and waited for the signal to attack – mortar fire! At 0430 hrs the signal was given and our section made its attack! Our firing manoeuvres have never been better and we suppressed, approached and assaulted the enemy with no dramas at all. We kept up the momentum and quickly provided fire support for the other section as they too flawlessly neutralised the enemy. It’s great to see how far we’ve come as a Troop and how we were able to pull it out the bag when it mattered. In what felt like seconds the battle was won. We made our way into an empty barn and were given a final debrief. That marked the end of Ex FINAL FLING and the end of exercises during Phase 1. A huge sense of relief washed over us and we went about collecting brass and cooking breakfast/cleaning rifles whilst waiting for the coach to arrive. We got back to camp and made a start on cleaning our kit before finally crashing out in our own beds! Today I finished cleaning my kit and put my laundry in. I spent the rest of the day bulling my shoes in the Welfare centre whilst watching films. A lot more attention now needs to go into these shoes for pass out – in which I want them like glass! A long day of admin today. I cleaned the magazines and BFA used on Ex FINAL FLING, polished my boots, cleaned my lockers, ironed and folded my clothes, washed my body armour, mess tins, ear defence, mug and respirator. Made my bed, did my block jobs, brought new hangers and rehung my clothes to name a few tasks! I didn’t stop from 0700 to 2200 hrs with things still to do! It’s amazing how quickly time flies when you’re having fun in the Army! Bring on Week 13! 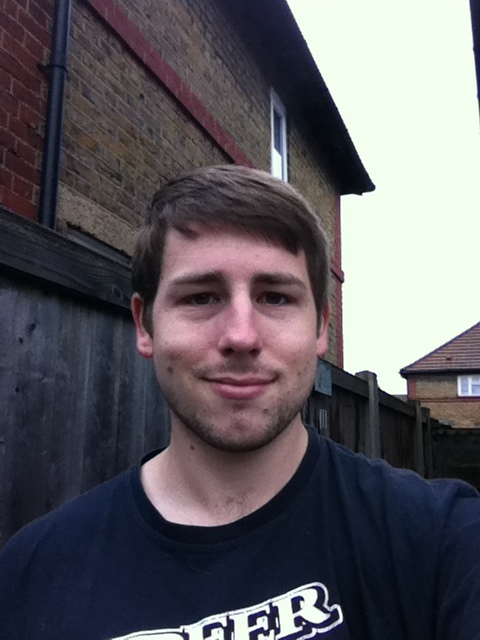 My name is Andrew Vaughan, I am 25 years old and this is my story so far. I have just finished my eleventh week of Phase 1 training at ATR Winchester where I hope to go on to join the Royal Artillery. In the morning we got into our CBRN kit and headed to the gas chamber for 0800 hrs. We went into the chamber in details and carried out our CBRN test. This consisted of a full decontamination, followed by a drinking drill and changing our PFCs. On my first attempt, I didn’t undo the straps on my respirator properly when taking it off and couldn’t put it back on. I tried and tried until eventually I ran out of air and inhaled a huge portion of CS. Thankfully I’m not as susceptible to its effects as others; however I still needed to leave the chamber. I went back in with another detail, learned from my mistake with regards to the straps and passed. 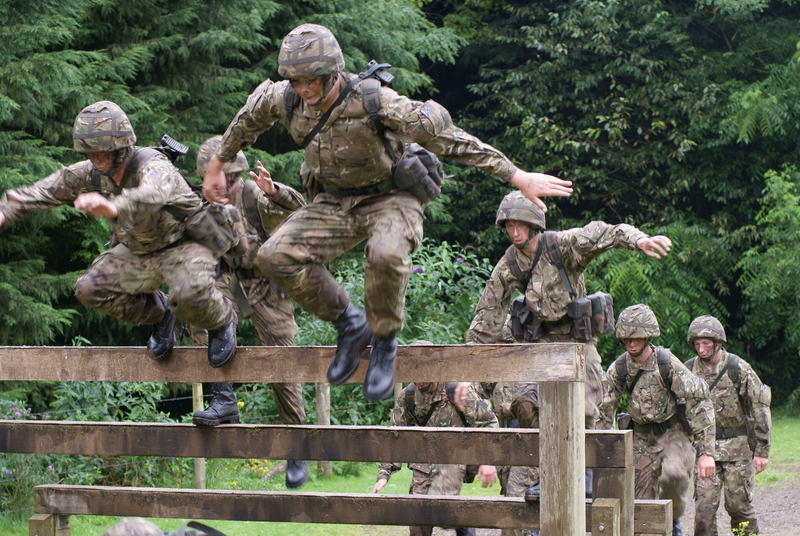 We got changed in rapid time and headed to the assault course to practise for the CO’s comp on Wednesday. It’s a lot harder with kit and rifles on but every attempt at the 12 ft wall showed improvement. Once back at camp, we grabbed our bergens and made our way to the same harbour area we used on Ex FIRST STEP. We had a firing manoeuvre test in pairs, which after a couple of hiccups I eventually passed. We set up our bashas, cleaned our rifles and got our heads down. Reveille and straight into morning admin which we all needed to pass. A frantic hour and a half to get our rifles and ourselves squared away. When time was up I was inspected and other than some carbon on the gas block which I somehow missed, my rifle was deemed “pretty clean” and hopefully that means a pass. We did some tests to check how much we had learned from previous exercises and also to prepare us for Ex FINAL FLING. Our Section Commander then went through the ‘Half Tac’ formation and also how to go about being contacted from different positons whilst in different patrolling formations. We also practised CASEVAC, focussing on changing carriers fluidly, which was where we struggled last time. Once all was done, we headed back to camp and packed our webbing for the kit inspection involved in the CO’s cup tomorrow. We made our way to the Muster square and had our webbing checked by the Sergeant Major; all went well aside from some dirt on some of our water bottles. Damn! After that we headed to the assault course where we had a nice gentle warm up ready for the course. Once we were suitably warmed up, we were off. We managed to get over the whole course without any dramas and was probably the best we’d done it yet. We adopted an all-round defence and got our breath back. After that, we picked up the stretcher and its 70kg passenger and again we were off. We kept a good pace, changed when needed to without any dramas, however we did eventually drop the stretcher twice due to poor changing. We powered through for the mile and eventually it was over. We finished off with a 25m shoot from the kneeling position which wasn’t too bad – although one member of our section had a stoppage and so scored no points! Once back at camp, relieved that it was over we conducted admin and packing for our Phase 2 visit to Larkhill tomorrow. We woke up early and excited for our visit to our next home – Larkhill. After a 40 minute coach journey we arrived through the gates and were instantly impressed by how huge and pristine the camp is! We had a presentation by the Battery Sergeant Major who spoke to us about our upcoming time in Phase 2 and was a good time to ask as many questions as we could. We had another briefing on the regiments and also on the restructure. It seems two of the regiments in my top three aren’t recruiting at the moment and so I’m now going to consider putting myself forward for 26 regiment – based in Germany! We had a tour of the camp and then some scoff. I’ve always enjoyed the food here at Winchester but the food at Larkhill is even better! Definitely looking forward to meal times there. After that we had a tour on the different equipment the Artillery use and were given more information on the regiments that employ this equipment – all useful in helping us reach our decision in what to join. Overall a very good, informative day. Once back at camp we received our kit list for Ex FINAL FLING and began to pack. First up today was PT where we tackled some outdoor circuits. It’s now been a while since we had a heavy PT session and the warm up itself tired most of us out! The main session involved bear crawls, crab walks, push ups, sit ups, squats and running. By the end of the session three of our Troop puked! Afterwards was a grenade lesson so that we‘re allowed to use them on Fling. Then we had the results of the COs cup. 1st, 2nd and 3rd place all went to 5 Troop. Congratulations 5 Troop! We commiserated our loss with a charity curry lunch and then a briefing on how to enter/exit a Chinook and Merlin helicopter. It seems we’re getting helicopters for Fling – buzzing! Today I went to Southampton for a bit of shopping before returning to camp and cracking on with administration. It’s weird how I now find ironing clothes and polishing boots relaxing. Spent the weekend packing for Ex FINAL FLING and enjoying a nice bit of normality before the crazy week ahead. My name is Andrew Vaughan, I am 25 years old and this is my story so far. I have just finished my tenth week of Phase 1 training at ATR Winchester where I hope to go on to join the Royal Artillery. 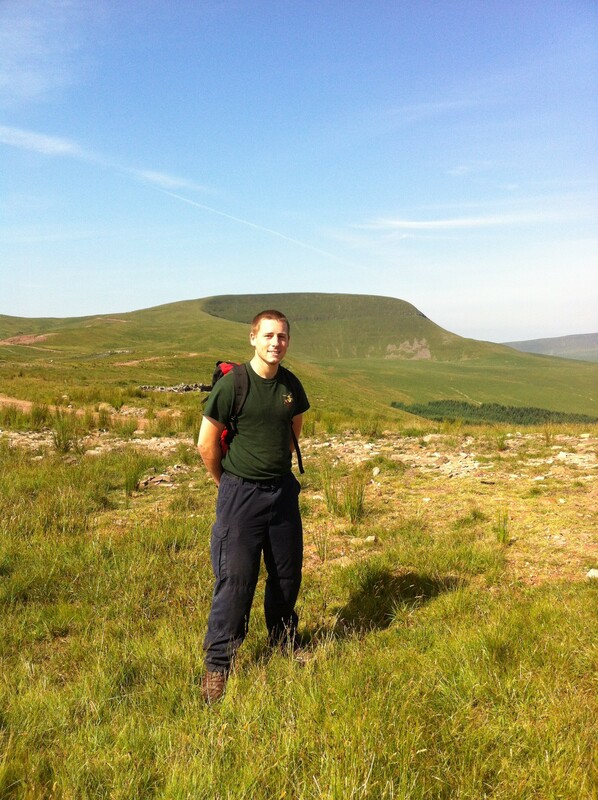 Today we headed off to the Brecon Beacons in Wales for our Soldier Development Week (SDW). Upon arrival we were briefed by a Corporal who was to be our rep for our time here. We were taken to our accommodations which house the entire troop. Unfortunately due to numbers, myself and some others were moved and had to share with another troop. I quickly got to work on making my bed space my own and it wasn’t long before I was settled. After a briefing on the activities we would be doing here, off we went to the high wire! I hoped I wouldn’t have a repeat of last time and decided to go first to get it out of the way. This time, the idea was to jump from the platform and grab the trapeze. After 5 minutes of nearly jumping, eventually I plucked up the courage and jumped. No tears, no hyperventilating and significantly quicker than before; it seems I’ve gotten braver. More high wire activity and then we had some time to kill before dinner. The food selection here is awesome and so is the quality. Once that was demolished, our time was our own for the day. We headed to the Welfare Centre where we played pool for a good portion of the evening, with me beating one of our Corporals 2-1. Once the Welfare closed, I made my way back to block and scrambled into my sleeping bag, ready for tomorrow’s Navigational Exercise. Let’s hope I don’t get lost! After breakfast we had a timings briefing and exchanged any faulty kit. Then we had a refresher course on map reading with our Troop Commander before our Nav Ex. We were given maps and several bearings to plot indicating landmarks to get to, and then worked out the distances and the estimated time it would take. We were also given a sheet with questions for each marker so we could prove we actually found the landmarks. Once this was complete we were driven out to a vast landscape, given a briefing and what time to be back, and off we went. We started up a path and saw on the map a tree line separating us from the first marker and figured we could cut across it as a shortcut. Big mistake! As soon as we knew our error we were too far in to turn back. The wood line went from spaced out trees and a clear path to a miniature jungle; thick with foliage, huge holes to fall down, branches to clothesline yourself on and mosquitoes everywhere. We donned our gore-tex to protect our arms from being torn to ribbons and ran for it. By the time we finally made our way to the other side we had lost time, a gallon of sweat and any clue of where we were. We found the ordeal hilarious though and we were in high spirits for our task ahead. Thankfully, our plan had worked to a small degree and the first landmark, sheep pens, weren’t too far from us. Once there, we took it in turns to plot the next route and ran to save time. This continued for a while, taking the time to appreciate the beautiful views Wales has to offer until eventually time forced us to head back. Back at camp we then had a map reading test which covered a bit of everything we had covered from past lessons and today. I passed first time (a rare occurrence) which I was delighted with. We were given a map and bearings to plot for tomorrow’s hill walking exercise and the rest of the day was our own. We grabbed our maps and went by coach to another part of the Brecon Beacons. As pairs, we led the group in stages on the route we had plotted, using our knowledge to judge the distance and estimated time. The walk was long but amazing, with views which are hard to describe. In total we walked about 19km, and as a treat went to a burger van to celebrate finishing our trek. We spent the rest of the day bonding with the other Troops and playing some football. After our morning briefing we collected our rock climbing equipment from the stores. 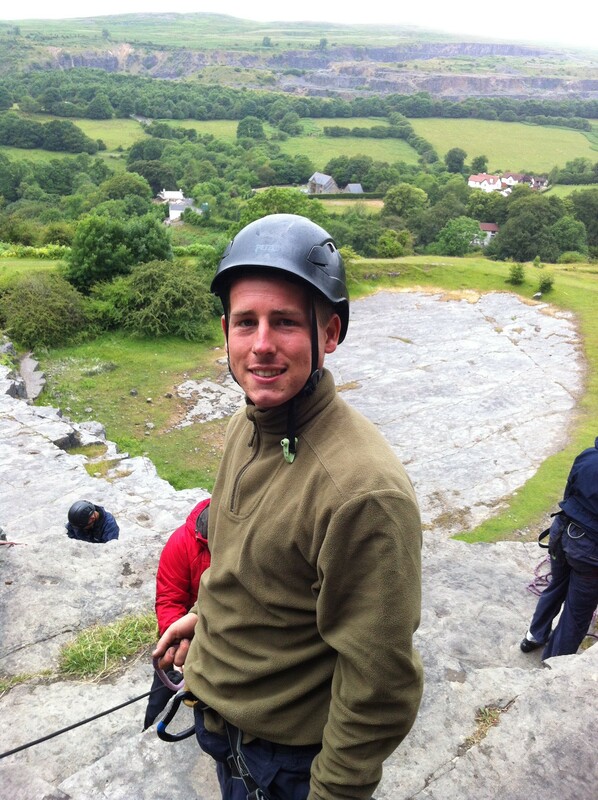 We were taken to a huge cliff side to take on rock climbing and abseiling on natural terrain. Three routes on the cliff with differing difficulties were made, and after a safety briefing we went up. Going up the cliff wasn’t too bad, a few scary moments when I lost my footing whilst near the top but not too bad overall. Abseiling down didn’t start well as I swung to the side and swore loudly with fear. After that I was ok and lowered myself down without any more outbursts. Then the hard part came. I was blindfolded and tasked with climbing the hardest route, using only the directions of the people of my Troop Commander on the ground and my belayer at the top. The very first part of this route was arguably the hardest, yet somehow with the blindfold on I didn’t find it too bad. Scrambling round with your hands for a decent hold is half the battle, finding decent footholds is the killer – especially nearer the top! After a slow but steady climb (again with the odd squeal of fear) I made it to the top. Relief washed over me but the feeling didn’t last long. On the abseil down I had to change carabiners. Although not in any real danger, the idea of changing these whilst mid abseil is very daunting. To top it off, whilst in the process of changing them, the safety staff suddenly lowered me a little from time to time to up the pressure, which freaked me out to say the least. With carabiners eventually changed I made my way to the bottom, and when all of us had finished we made our way back to camp. We changed into our civilian clothes and headed into town for a Chinese with our Section Commander, Troop Sergeant and Troop Commander which was a nice end to a scary day. Today we collected our caving equipment and made our way to the caves! This activity is the one I was most worried about, and the rising water level due to the rain didn’t help my fears. After changing into our caving gear we had a brief on the cave layout and the do’s and don’ts. Then we made our way in. The light quickly faded and head torches became our saviours. The first part of the cave was manageable by crawling, until eventually we had to go on our belt buckles to squeeze through. Eventually we reached the main opening of the cave which was huge and had a fast flowing river powering through it which added to the excitement. We had a lesson on cave formations (stalagmites and stalactites etc.) and then climbed a section of the cave to reach a higher level with more features, including a natural rock pool containing drinkable water. The next part was the best, with us crawling through a tight tunnel submerged in water. This is the part which I was dreading but ended up loving. Our next task was to make our way through a small tunnel with the fast flowing river coming straight at us – with our torches off. I took point, and after finding out the hard way, told the first man behind me where to look to not get a face full of water! After traversing the tunnel, working out how to get through and relaying the information back to the next man, eventually we were all through. I loved every minute of it. Back at camp we grabbed all of our gear, loaded up the coach and said goodbye to Wales as we made our way back to ATR Winchester. Once back, we prepped our bergens for tomorrow’s TAB and went to sleep. This morning we made our way to PT, had our bergens weighed to make sure they were 20kg as required and then began our 5 mile TAB. After my horrific performance from the last one I started at the front and was determined to not let myself down like before. Keeping up with our PTI is extremely hard and killed my legs, however I fought through the pain until a point where we did an about turn and I subsequently found myself at the back. Being here is harder on a TAB as any gaps formed throughout your file force you to run the entire time you should be walking. Luckily I was instructed to get to the front again and despite being a slog I managed to stick with the pack. Our PTI decided to have some fun with us though; we kept walking towards the finish line and then turned off at the last minute and tabbed some more. This went on for a while until eventually we were lined up on the PFA start and instructed to run an 800m route. This is where the wheels came off for me and I came in second from last. Other than struggling with the run, the TAB itself went a lot better than last time, although I’m still dreading our 6 mile Combat Fitness Test (CFT) coming up. After a stretch and a shower I then chilled for a while until work parade which I had been rewarded with for our dirty room back in Wales. This involved a few hours of menial tasks around camp (mainly weeding and sweeping! ), which thankfully went quite quickly. Admin to finish and I was in bed by 2000 hrs! Today was a pure admin day with copious amounts of ironing and folding. It feels good to have everything squared away and I’ll saviour the feeling whilst it lasts! I also spent the time packing for a busy day of CBRN, PT and Test Ex tomorrow. With that done, I retreated to my pit ready for a busy week ahead! 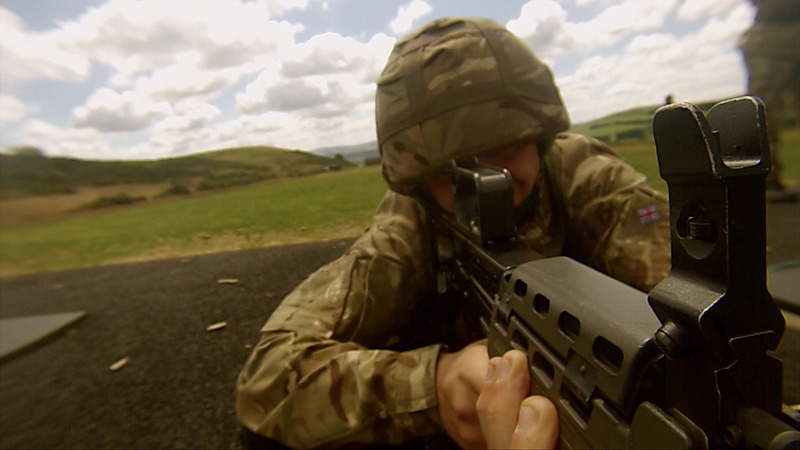 You’re in the Army now: it’s range week! My name is Andrew Vaughan, I am 25 years old and this is my story so far. I have just finished my ninth week of Phase 1 training at ATR Winchester where I hope to go on to join the Royal Artillery. Today marked the start of range week. We collected our rifles and got on to the coach to Longmoor Ranges. Here we went through all the firing positions at 100m, then the same at 200m with the inclusion of standing supported where we practised firing whilst leaning against a post. Finally was 300m where we fired in just the prone position. I passed the 100m and 200m by the skin of my teeth – achieving a score of 48 with 48 being the minimum pass mark. I failed 300m the first time but managed 16 out of 20 on my reshoot which I was happy with. 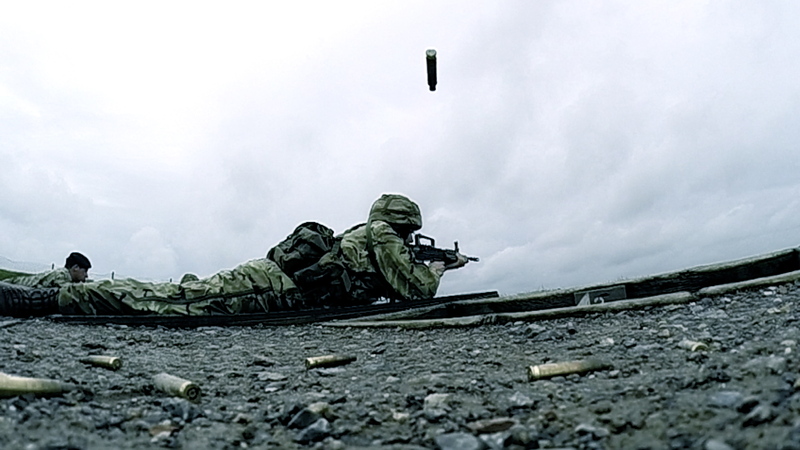 Today we practised snap shooting, firing at the target which would only remain visible for a limited amount of time. I spent the first part of the day as butts party where we held the targets up above the parapet and brought them down when prompted. We could feel when the shots hit due to the vibration which made scoring easier. Afterwards it was my turn and 100m is now pretty comfortable for me. 200m is still hard work yet somehow I’m ok with 300m. Thankfully I passed all 3 first time. Back at camp our diaries were checked. Unfortunately mine was 1 day behind and I was given show parade among many other offenders. Despite being a slight hindrance, it keeps me on top of my kit (and diary!) so I can’t complain too much. This morning we went to a different range – this one using electronic sensors to aid in our shooting. This would be the range we would take our Annual Combat Marksmanship Test (ACMT) on. 100m I found ok apart from having to fire one shot standing up then immediately firing 4 more whilst kneeling. 200m was a lot more challenging and found kneeling supported harder than unsupported! 300m I excelled at, missing only one shot. I failed 100m so I had to retake but thankfully passed the retake. We made our way to another range, had a brief and fired 15 rounds at 25m in the dark. I hit 10 which I was slightly disappointed with but still higher than a lot of others. Finally made our way back to camp and hit the sack. Today we went to the same range to take on our first Annual Combat Marksmanship Test (ACMT). Lots of guys here are after marksman (hitting at least 39 out of 48) but I’ll be happy just to pass. Our Troop Commander let us fire 10 rounds at each position with 5 being a grouping and 5 hitting the target and helping us adjust our point of aim which helped out a lot. My turn came on the ACMT with a good portion of the Troop having passed with marksman no less. I nailed the 50m and the 100m without many dramas. Then my luck ran out during the 200m with the target going down and refusing to come back up. This rendered my 200m shoot void and I had to change lanes for the 300m shoot which I nailed. As my lane was faulty I was allowed another first attempt at 200m and was told I could drop 5 shots and still achieve marksman. The pressure of this combined with frustration from having to reshoot however toppled me and I completely flopped. I calmed down and thankfully on the next go nailed it. Although I passed, I’m gutted about the target malfunction and would love to know how I would have done had it not occurred. The rest of the evening was spent doing admin for the Troop Sergeant’s inspection tomorrow. We collected our rifles from the armoury and proceeded to spend the majority of the day giving them a thorough clean after a weeks worth of firing. The amount of carbon build up is mad! After dinner we took it in turns as sections to sit our MATT 9 C-IED test. I’d revised prior to this and managed to pass first time. There were some silly marks dropped though which I’ve noted for next time. We then packed for tomorrow’s assault course and for the upcoming week in Wales which we’re all buzzing for. Today we also gained a new recruit into our section and Troop, and spent time inducting him into our group. This morning we donned our webbing and headed to Worthy Down to tackle the 12 foot wall on the assault course. 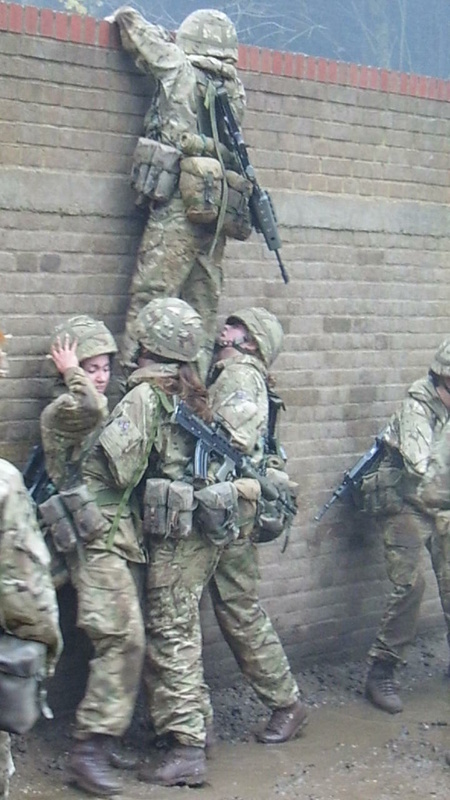 We were taught different methods of traversing the wall and took it in turns doing so as a section, adjusting the order we went over in to effectively get the last man over in good time. Then we took the course on a couple of times which was exhausting. The Commanding Officer’s competition is going to be brutal! We changed into civilian clothing and signed out for the day. I went to Southampton again and did some more shopping before eventually coming back and finishing some admin. Today, I decided not to go out of camp and instead packed for next week’s Soldier Development Wing before going to the welfare to relax a bit. Great week ahead which will test our courage but also give us some much needed downtime!